Mother’s Day is Sunday, May 12th… less than two weeks from today. What have you planned for your mom? If the answer is, “nothing,” that’s the wrong answer. Are you planning on going to the mall on Saturday the 11th, hoping to snag a box of chocolates and a pair of slippers? Think of all the angst you gave Mom while you were growing up… just look at the gray hairs that you caused. 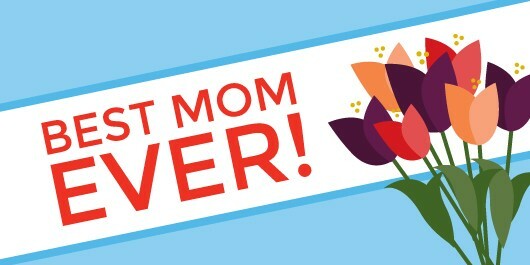 This year, show Mom you love her by planning something special this year. Yeah, it’s pretty cliché to take your mom to brunch on Mother’s Day. But it’s soooo good! If there’s a better gift than bacon, we’re sure we don’t know what it is. Go the extra mile—put on a tie and look extra nice for Mom so she’ll be proud to be seen with you. If you don’t have your reservations, today’s the day to make them. The best brunch spots in town book early. Nothing says, “I love you, Mom” like a bouquet of flowers on the dining room table. 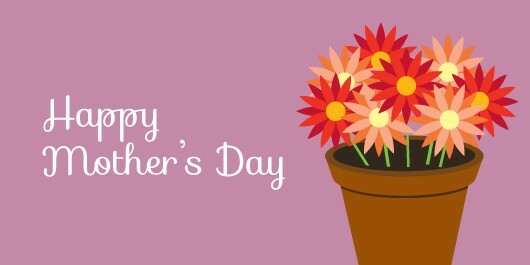 Mother’s Day is one of the biggest days of the year for florists, so place your order today. For something really tailored to Mom’s taste, head over to your local flower shop instead of ordering from the big online merchants. You’ll be able to choose exactly the right arrangement for your mom. Since you’re planning in advance, you have plenty of time to order a special, hand-made card. Check out Etsy’s selection of Mother’s Day cards in countless styles—one of which is sure to fit Mom’s personality. Don’t forget to have everyone sign the card in advance so you’re not scrambling to find a pen while Mom finishes her bacon. Instead of buying another scarf that Mom will tuck away in drawer, take her out for an experience she’ll never forget. Check out upcoming concerts, plays, museum exhibits and events and find one that Mom will enjoy. Buy tickets well in advance. A family picnic in the park, at the beach or in the mountains. Either prepare food in advance or stop and pick up something yummy to take with you. Whatever you do, don’t make Mom cook! Travel to a fun destination—either by car, plane, train or boat. Tailor the trip to Mom—a Caribbean cruise, trip to the Big Apple, a gondola ride in Venice, or maybe just a trip to the zoo… depending on your budget. A family party with Mom as the guest of honor. Stage a talent contest, play games, make Mom’s favorite dinner, show old videos and pull out the scrapbooks. Plan a spa day for you and Mom. A massage, facial and mani-pedi will spoil her (and you too, which is a bonus!). Book early for the best dates and times. Surprise your mom by getting the yard ready for summer. Assign someone the task of getting Mom out of the house (maybe to eat bacon somewhere). While she’s gone, the rest of the family gets busy weeding, mulching and planting flowers in the beds, mowing the lawn and hosing off the patio furniture. Some new cushions on the swing and patio chairs will freshen up the deck, and adding some planters full of pansies or petunias will brighten things up, too. 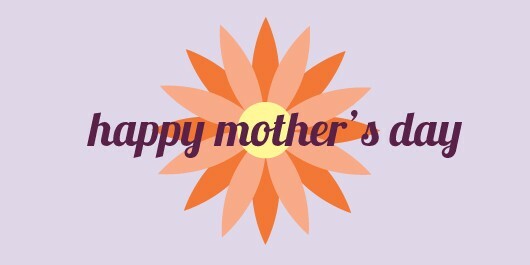 Order a sign for Mom that reminds her how much you love her and install it right by the front door (hint: all of the images in this post are ready-made templates—just click on one to get Mom’s sign started). 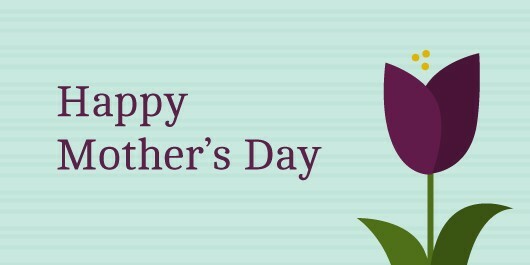 In the end, it doesn’t really matter what you buy for Mom or how you spend her special day—it really is the thought that counts. 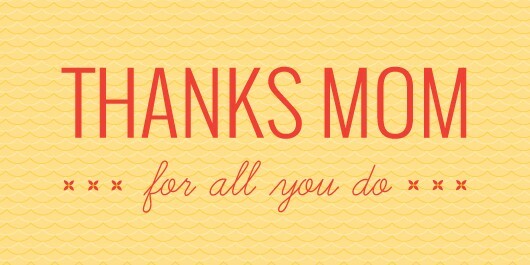 Plan in advance to honor your mom for all her hard work (after all, it was probably pretty tough raising you! ), patience and love.